Use the callout to highlight information for the user of the symbol. 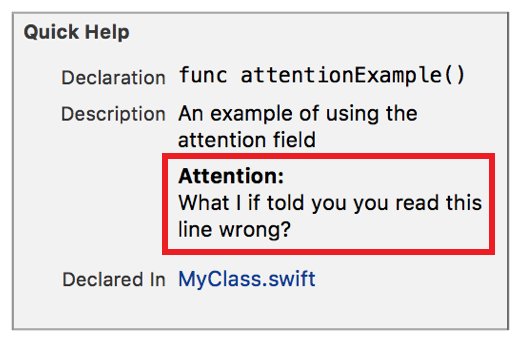 The description displayed in Quick Help for the attention callout is created as described in Parameters Section. you read this line wrong?